” You have to have a beard to be a leader in Antarctica.” It was this statement that sparked the indignation and the imagination of Fabian Dattner and led to an unprecedented expedition of 75 women scientists to Antarctica in December 2016. Fabian, a partner in consulting firm Dattner Grant has had 30 years experience in leadership training, both internationally and with Australian government, corporate and not-for-profit organisations. She has authored 3 books on leadership and is one of Australian’s best-known entrepreneurs, speakers and executive instructors. So she was well placed to notice first-hand the paucity of women in executive positions. This prompted her seven years ago to set up Compass, a training program specifically designed to equip women with leadership skills. And it was during one of these Compass courses in Tasmania, that women scientists, many of them working in polar science, expressed their distress at repeatedly being passed over for leadership in favour of men. Indeed, only 9% of leadership roles in STEM (Science, Technology, Engineering, and Mathematics) in the world are held by women. This is remarkable given that women constitute the majority of undergraduates, graduates and Ph.D students in science. 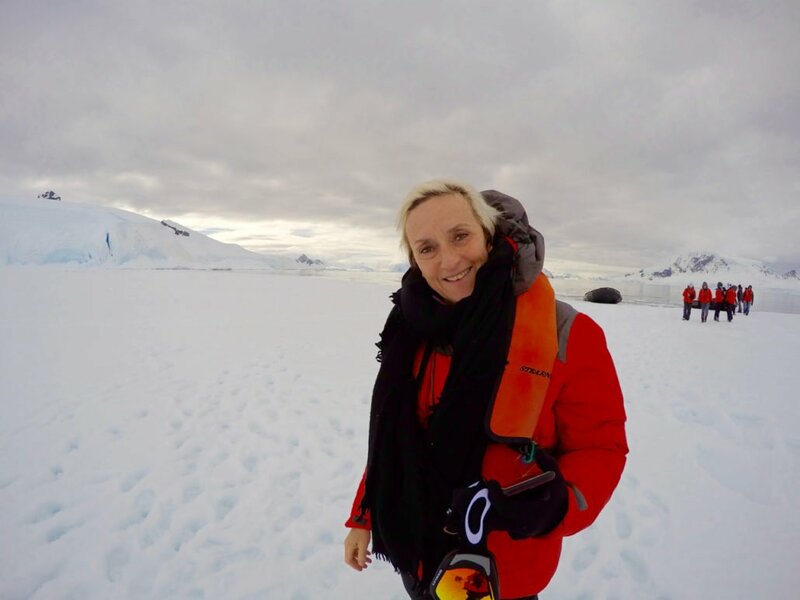 What Fabian heard from the women working in polar science made such an impression on her, she had a vivid dream that same evening in which she was taking a group of them on a ship to Antarctica. 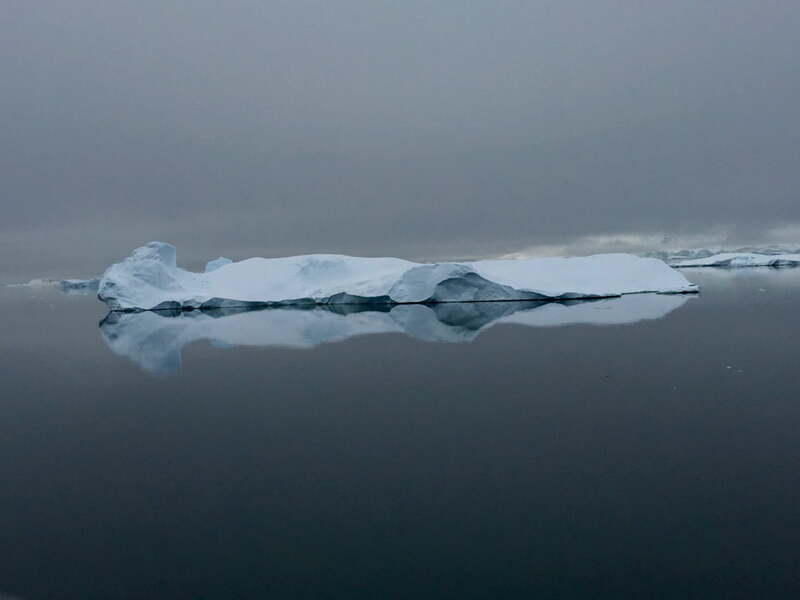 The next morning she consulted with Dr. Jess Melbourne Thomas, an Antarctic Marine Ecological Modeler, who agreed that such a project would be feasible. From that point on they both began planning and within 6 weeks the project received the endorsement of the CEO of the Australian Antarctic Division who described it as a “ brilliant idea.” And Homeward Bound was born. Support from global figures streamed in, including that of Dr Jane Goodall, primatologist and environmental campaigner; Dr Sylvia Earle, global leading Marine Biologist, explorer, author, and lecturer; and Christiana Figueres, Former Executive Secretary of the United Nations Framework Convention on Climate Change. 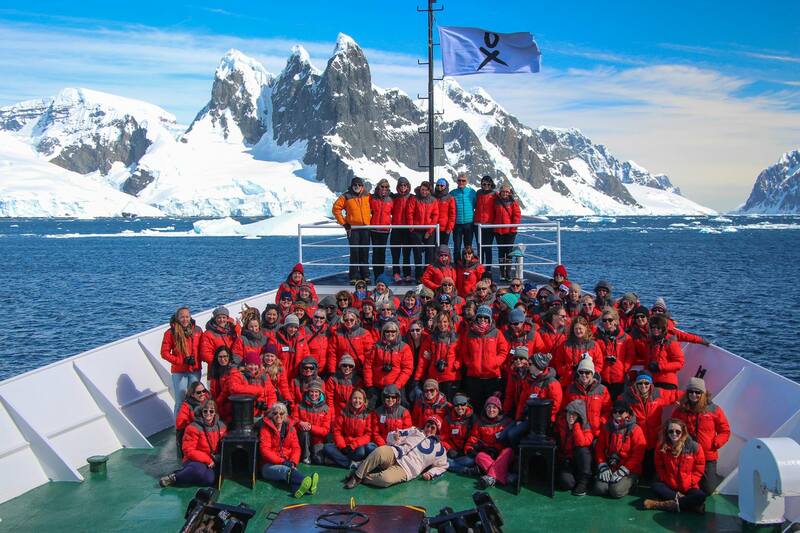 The project went viral with thousands of women in science applying for the 75 places on the first Homeward Bound 19-day expedition to Antarctica in December 2016. These scientists all strongly identified with the twin goals of Homeward Bound as stated by Fabian. The first: to promote women with a science background into leadership and decision-making positions. The second: to increase the impact of these women on climate change and the sustainability of the planet. The 10-year objective of Homeward Bound is to build a world-wide collaboration between 1000 women in science. Fabian believes that these women, acting together, can be a more powerful force of global leadership on these vital issues. “Our individual brilliance is not as powerful as our collective cleverness, “ she says. The 75 scientists who took part in the first expedition came from countries around the world. They represented a wide range of fields – marine science, climate change ecology, biodiversity conservation, astronomy, geology, zoology and neuroscience – to name just a few. They represented a wide range of expertise – from Ph.D students to professors. And they represented a wide range of ages – from women in their twenties to women in their seventies. Prior to sailing, the participants took part in 12 months of building connections and teams. Once on board, part of the day was devoted to training led by Fabian, in leadership and strategic skills. There was a major science symposium at sea, with each of the scientists presenting her field of expertise, and there were group discussions of the most up-to-date climate change research and other key issues facing the planet. 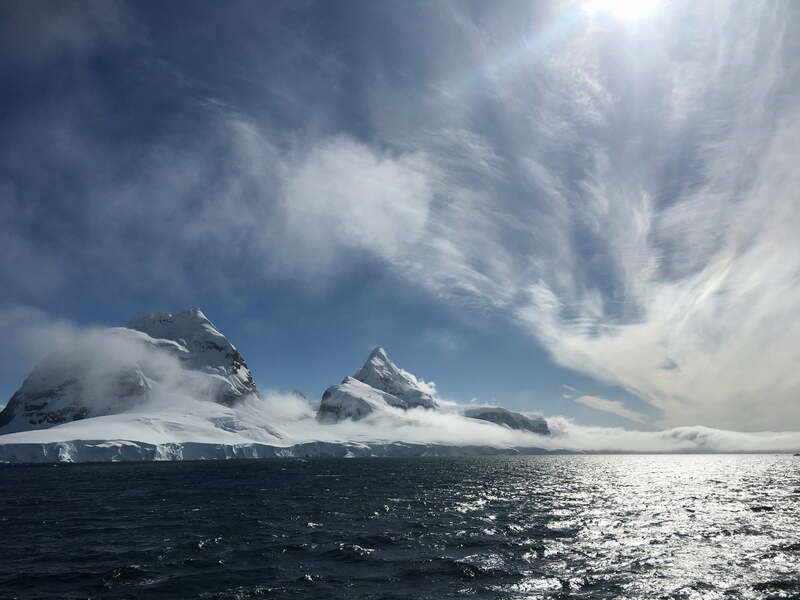 Up to five hours each day were spent exploring the extraordinary beauty of Antarctica in 16 different landings and in meeting Antarctic experts. A film crew was present on Homeward Bound and recorded the entire expedition. Why was Antarctica chosen as the context for this project? “ Because Antarctica is the engine of the planet, “ says Fabian. In Antarctica you can see some of the fastest and most breathtaking results of climate change to be seen anywhere on the planet, she said. It provides a dramatically visual early warning system of where we are headed. 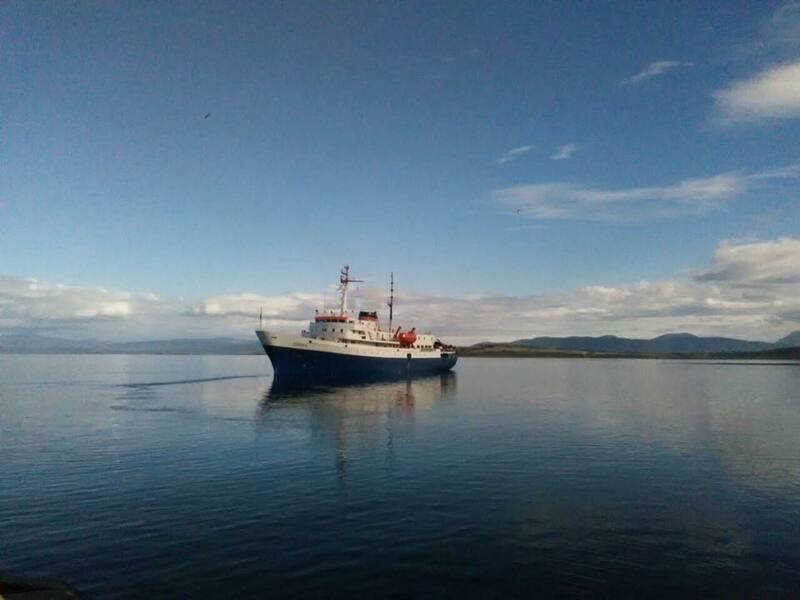 The next Homeward Bound expedition, due to leave on February 2018, has been flooded with applicants. “ We are looking for women who are worried about what is happening to the planet and who think they can make a difference, “ says Fabian. Homeward Bound funded the first expedition largely though global crowd-funding projects. Now they are seeking to provide scholarships for women in science who cannot afford to fund their own participation in the expedition. WomanGoingPlaces supports the objectives of Homeward Bound in strengthening the collaborative participation of women scientists at the highest levels of decision-making. And we encourage our followers to support these scholarships. For further information see the Homeward Bound website. Antarctica is not a place I felt at home, Antarctica was a place I was in awe. Antarctica has the lowest biodiversity on the planet. There are two things on the surface, tiny little bits of green – an Antarctic grass and a tiny bit of moss. And this vast ice scape. And you’ll be walking through snow and ice and there is a rock, and it’s not like you see it everywhere by the way, you need a biologist to point it out to you. There’ll be tiny beads of water and in that there is a teensy weensy bit of gloop and in there are the larval stages of this wingless fly. And that’s it. But in summer, in the water and under the water, is a majesty and a magic that is incomprehensible. The largest biomass in the world is there. Krill, and on the back of the krill come the whales and we saw humpbacks. And there are times where you’ll see the whales working as teams to move the krill into a circle and then they move in and eat. We saw Minke Whales dancing with the boat. We saw Leopard seals. We saw Weddell seals, we saw Chinstraps and Adelie penguins. You see lots of ocean-going birds, birds that have traveled obscene distances to breed because the water is so rich. It’s a fly-in-walk-out walk. You fly out of Hobart on a 4 seater for an hour and you land on a little airstrip in the middle of nowhere in some wilderness. The plane flies off and you begin a walk. And you’re walking along the South West coast, for about a 100 kilometres. You’re walking through forest that is largely untouched on such a narrow path and you have a heavy pack on your back. Light filters through the grand trees onto the green landscape and it is so beautiful you can’t talk. If you’ve loved Lord of the Rings, it’s like Lothlorien where the elves live. It was one of the hardest walks I’ve done and one of the most beautiful. It is right up there with one of the best things I’ve ever done. Lord Howe Island would definitely be one of my favourite places. With the bleaching of the Barrier Reef it is actually probably one of the most southern ends of diverse coral that you’re going to see. There hasn’t been any bleaching there. And diving there was just stunning. It’s this tiny little isolated island in the Pacific Ocean and you have to go quite a long way to get there. If the weather throws you a kilter, you can’t land. There are only 300 people that live there and there’s quite a restricted tourist population. You can only get around on bicycles. 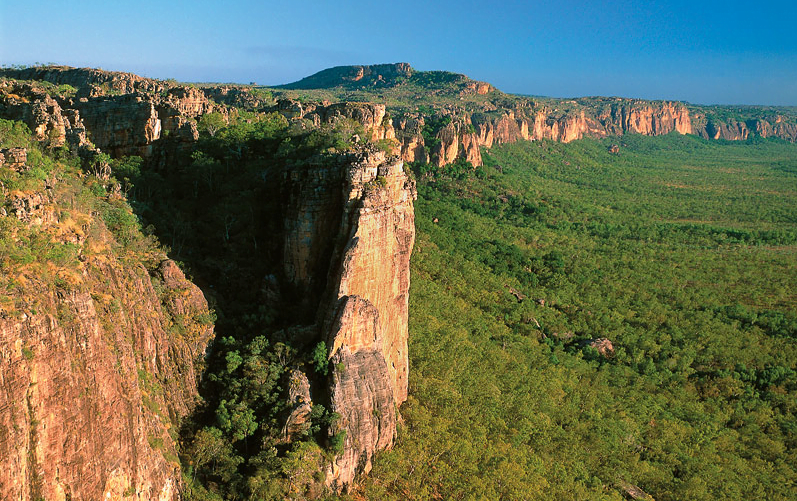 I love the beautiful wilderness and the places that human beings haven’t desecrated. 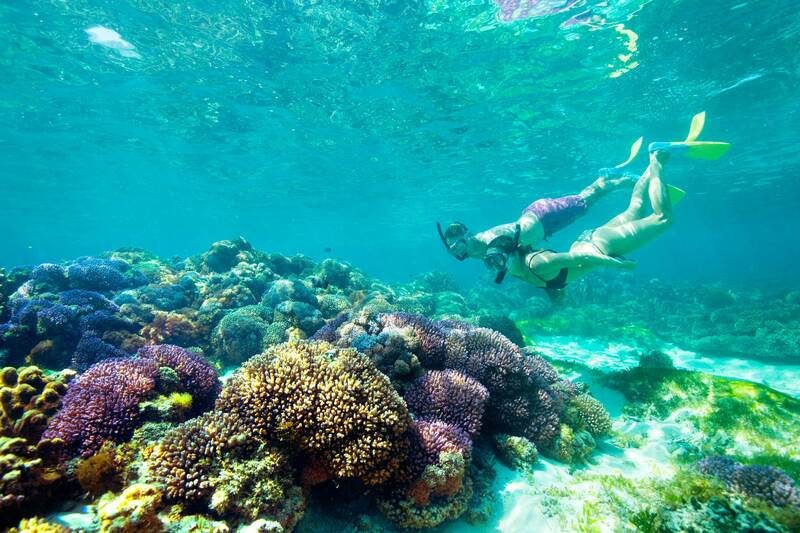 There is pristine water to dive in. Just pristine water. We went to quite a remote area in the Finders Ranges. It was during the drought. So it was a very desolate dry hard space. 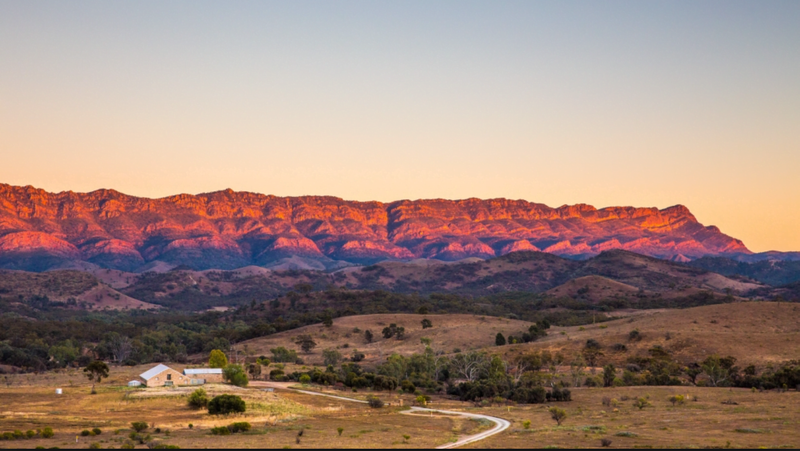 But in a way that parts of Australia can be so epically beautiful. We saw rock wallabies and it’s very rare that you see rock wallabies in the wild. They move across the rock scape in the way foxes move at night in your backyards – in a ghostly, almost don’t touch the ground way. And we were in a very remote spot walking and I suddenly looked up at a desiccated dry mountain top of rocks and something moved and there they were. So that was one of the heart stopping moments of wilderness for me.